Last Sunday, I went on a road trip up to London with the boyfriend in tow. An early start set us on our way to Olympia for the incredible trade show, Top Drawer. One of my favourite things about running the shop is discovering all of the incredible products and their designers. Before I had the shop, I would be on the other side of the trade show stalls, exhibiting my own byKirsty lighting range. That's how the shop came to be! I met some of the amazing home byKirsty originals at Top Drawer back in the day, the likes of Tom Pigeon, Block and Old English - who are all still best sellers today. But, now I am on the buying side, sourcing new products to add to the shop's growing collection of carefully curated stock. Top Drawer is the UK's leading retail trade event for creative lifestyle buyers. It showcases 1,500 brands under one impressive looking roof! Going to a trade show is amazing, but it can be both visually and mentally overwhelming. You need to be able to pick out and match the right products for your own shop. I always used to win at 'Snap' when I was little, so maybe that helps! Mini Moderns: Amazing new prints for wallpapers and cushions. Can't wait to add to our much-loved collection. Also Home: Loving their new pared-back vibe. I will be checking out their ceramics and velvet cushions for sure. 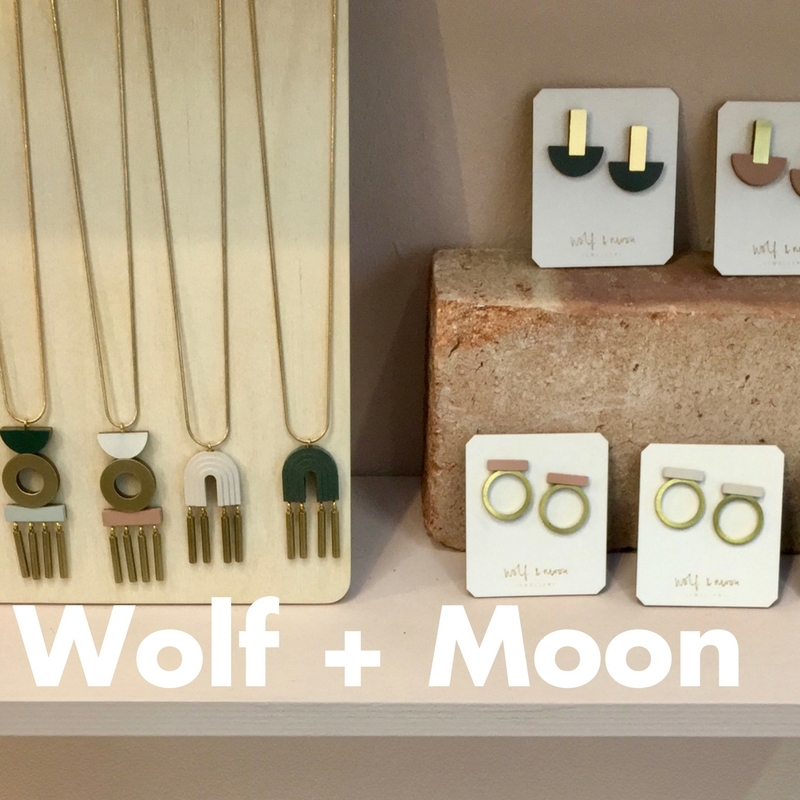 Wolf + Moon: What can I say? I wanted it all. So hard to edit - please send help! These handmade beauties come from incredible East London designers, and I'm a little bit obsessed! Weathered Penny: This is exactly why I go to the shows and love to meet the designers face to face. We chat about design and shops. Weathered Penny's Kayleigh, was right on my page. I cannot wait to pop an ordered in with her. Wee Gallery: I meet these guys 2 or 3 years ago. Their super lush muslins and new rattles and teethers are coming your way very soon. My favourite trade shows throughout the year are Pulse, Design Junction and Show Up. Plus, this year I will be hitting up my first international show in Amsterdam. Can't wait to share what I find with you next month. Keep an eye on the website and make sure you're paying plenty of visits to our coach house to be the first to catch our amazing new products!